Welcome to the about me page! 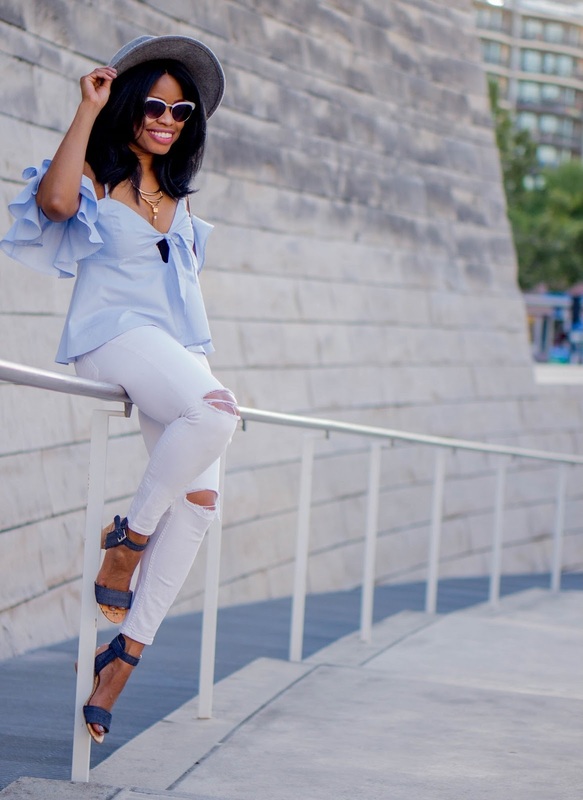 My name is Cheryl, and I am the founder of Oh to Be a Muse--a site dedicated to fashion tips and tricks, beauty regimens, and all things accessories. My motto is: When your fashion is inspired, your style is inspirational! I also provide a section for movie reviews and interviews for a change of pace. I started this site back in 2008, but didn't actually blog until some time in 2009 when I began writing reviews of some of my favorite movies. Everything became truly official in February 2010 as my wedding approached. I used the Muse as an outlet to discuss wedding hairstyles and reception dress choices. After that, I knew that my love was focused on fashion writing. This website features the sole opinion of the site creator. All posts are written with the editor's opinion and include images that are credited to the proper source. Sponsored posts, giveaways and contests are clearly marked. Personal information from users is not collected on this site. www.ohtobeamuse.com occasionally receives vendor/brand sponsorships for mentioning their products and services.